Working in the world of non-profits and grass roots movements; change is timely, progress isn’t always apparent, funding isn’t always steady, and public support can be wavering. Sayings like Maya’s motivational and help revitalize that desire I have to move forward with my dreams and goals and this one really seemed to connect with the work we do with the NE Iowa Food & Fitness Initiative. With our initiatives, we are “singing our song” and showing our communities the steps we can take towards solutions to problems that exist in relation to health and wellness. We all have a voice and intend to encourage and enable others such as our schools, our students and our communities to transform into healthier environments. One component that I feel ties to all of these platforms are the youth. 4-H is the internationally renowned model for youth development and building young leaders. The mission of 4-H is to “empower youth to reach their full potential working and learning in partnership with caring adults”. 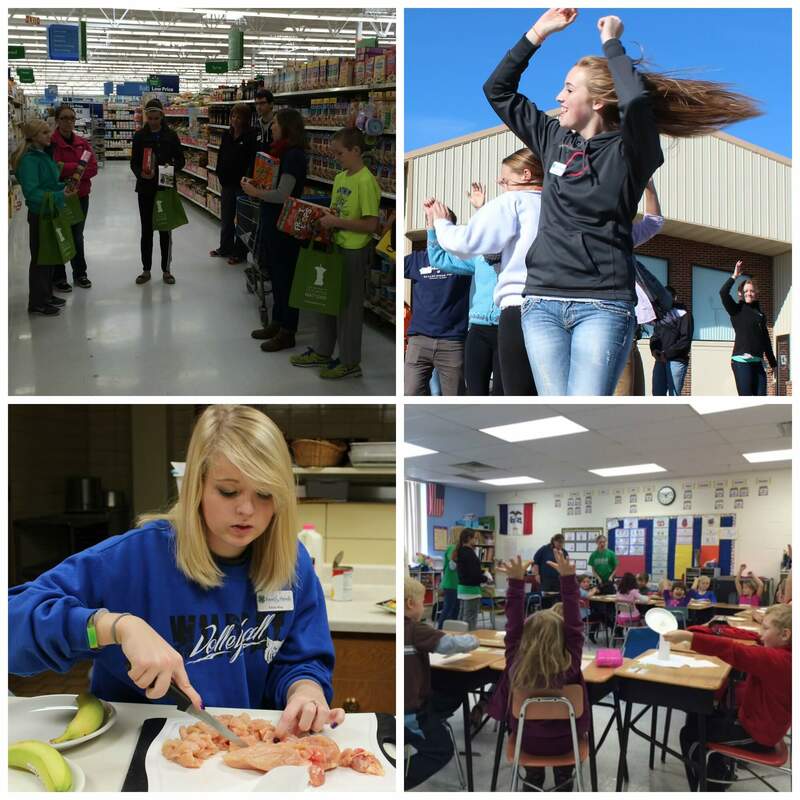 With our Food & Fitness 4-H Clubs, we hope to help youth have a voice. Voices to share their ideas, dreams and wishes to better their schools, communities, friends and families by promoting the importance of improving health and wellness in our environments. These students are speaking up and taking action… not because they have the almighty solution to all the health issues in our country or even county, but because they want to be intentional in beginning the change making process in their communities. The teams reported at our meeting in December about the work they have been doing this school year and their plans for the second semester. 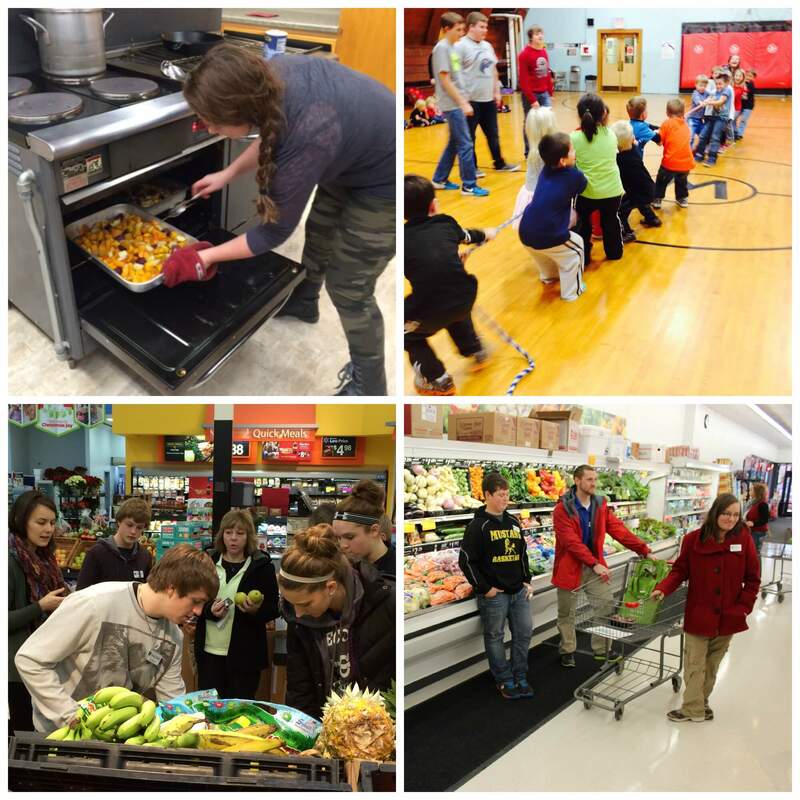 Postville High School: With an active Farm to School Cross Age Teaching program and FEEST team, Postville continues to educate young elementary students and their peers monthly about local foods and wellness intitiatives. They also organized a fun athletic event, Ultimate Football, for their classmates to participate in this fall. 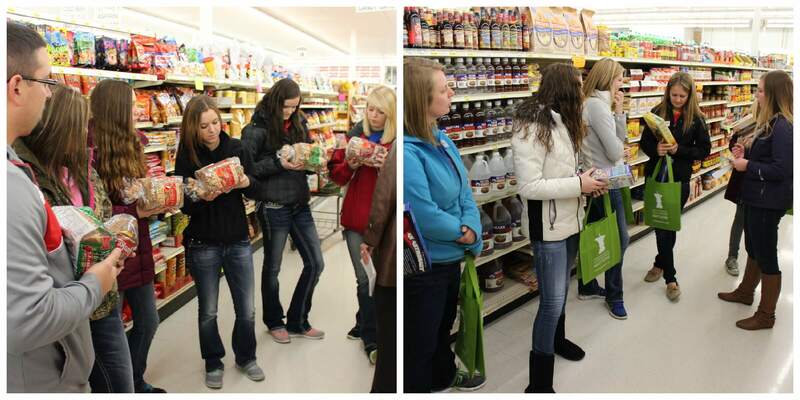 The team would like to introduce taste tests in classrooms this semester in addition to what they already do. Allamakee High School: Waukon has been busy organizing outreach to the elementary school. They introduced a fitness afternoon at Waterville Elementary where kids and teachers partook in tug of war, duck and duck goose and other fun games. They then were asked to do it at the Waukon Elementary School as well. They are planning on kicking off their Live Healthy Iowa program in January as well as continue Farm to School Cross Age Teaching. Decorah High School: Decorah students have been busy with their monthly FEEST events where they gather to make a meal together from scratch and discuss topics related to the food system. They also continue to cross age teach at John Cline Elementary and do taste tests in the high school cafeteria. North Winn Middle School: The middle school team just trained in for Cafeteria Coaching and would like to be active in offering samples to their younger peers over the lunch hour. They also started an intramural program where they start their day once a week competing in interchanging sporting events. Very cool they make it part of the school day! Crestwood High School: Crestwood continues to be our largest Cross Age Teaching Farm to School team. With over 55 high schoolers involved, they meet with all of the 1st-3rd grade classrooms monthly to present a new lesson and taste test sampling. The team is in the process of considering what other things they can do to expand their reach. Riceville High School: Riceville’s big goal is to increase physical activity. They are planning to organize a school wide track meet for this spring! St. Joe’s Middle School: St. Joe’s students attended the Super Power Summit back in November where they learned of more ways they can make changes in their schools. They are doing cafeteria coaching weekly, introducing fitness time into school time every month as well as after school programs. They also have introduced a seasoning station for the lunch hour. Turkey Valley High School: Turkey Valley is beginning discussions of re-introducing the salad bar option in their cafeteria, a want the student body has and a healthy option to have. They also continue to offer cross age teaching in the elementary. Central High School: The students at Central are determined to add more to their plate of improving school wellness by getting a FEEST team started this spring. They are our newest Cross Age Teaching team for Farm to School this year and have done a great job of implementing that in their elementary. Clayton Ridge High School: Our newest team! CR is back in Food & Fitness and their current goals are to reduce food waste, increase fruit and vegetable intake and introduce a salad bar option in the cafeteria. Lots of big plans for our new team..we’re so happy to have you! MFL MarMac Middle School: Lots of ideas rolling around in these young minds at MFL. They attended one of Postville’s FEEST events and would like to start their own! They also have plans for introducing an outdoor classroom, hosting a dance-a-thon and a school wide basketball tournament. North Fayette Valley High School: NFV school district hosts morning fitness time before school even starts for those early arrivers. This team has a supportive and wellness minded district to work with. NFV continues their FEEST team this year! Oelwein High School: Oelwein is one of our newer teams. They implemented the Cross Age Teaching Farm to School program in their FFA classes in the high school. We were so happy to have a few new schools attend this last meeting. Crestwood Middle School and Nashua Plainfield School District attended to learn more about Food & Fitness and with their interest in being proactive in school wellness we hope there is potential of them joining in with our other teams. 🙂 These young minds have strong voices and we sure are excited to see where this year takes them and their wellness promotion. Keep an eye in the newspapers and the blog for the progress of their projects! This entry was posted in Youth Leadership by Laura Liechty. Bookmark the permalink. Yes, yes, yes! It is exciting to see photos & read about the continuing (& growing) youth involvement in the NE IA FFI! I anticipate this will influence career choices for these young people, as well as influence attitudinal & behavioral changes in their schools, families, & themselves. Kudos!